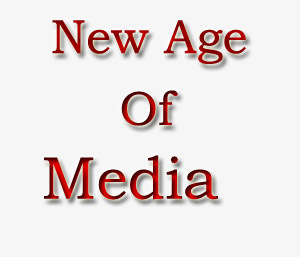 Media Marketing The Wave Of The Future? Affiliate marketers were dealt some serious blows over the last few months. Many were left high in dry by putting all their eggs in one basket, that basket being Google Adwords. Accounts even spending upwards of $1,000 daily where instantly closed down by Google for not liking something being promoted on the account. This left many in a scurry to find where to bring in their new revenue streams. While there are still many other options to promote as an affiliate, Adwords was the big name in town. Until recently I ran across a new way to market both my sites and affiliate sites. I now promote my blog, clickbank products and CPA (Cost Per Action) ads through a new medium called Media Marketing. Media marketing allows you to buy ad space on other peoples web sites. Most of the time this is done via your standard banner sizes such as 468×60, 125×125 and 120×600. This ad space is sold in a number of different ways. It can be bought for a set amount of days at a set price which is seen normally on blogs. Paying as a CPM (cost per thousand) for every 1,000 views of your ad you pay a set amount or as a bidding war. These options provide their own pros and cons. I currently use a site called buysellads.com to buy advertising on other blogs to promote my own blog. All of the sites listed here work off of the buy per 30 days or buy at a set rate per CPM. With some searching you will be able to find quality sites that are target specific to your product and service. I have found many cases in which I can promote my banner on others blogs for as low as $50 for around 500,000 impressions. After just a week I am receiving a large amount of quality targeted traffic funneling from their blog to mine. The question still stands: Is Media marketing the new trend for affiliates? My answer to this is YES! After testing out other marketing ventures such as CPV (cost per view) article marketing and others I have to say media marketing is proving to be a huge jackpot. While it’s still new to many affiliate marketers, prices are low and profits are high. I would advise getting to know how media marketing works with a great product I learned from called Media Traffic Meltdown.